The Madame Berthe’s Lemur was only categorized as its own species in the year 2000. 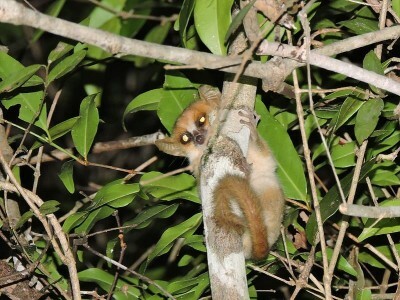 Madame Berthe’s Lemurs are nocturnal and have very large eyes which helps them to see during the night. During cooler winter months they are able to slow down their metabolism so they can conserve water and energy. They depend on eating insect excreta during the dry season to survive… yuk! Due to their small size they are vulnerable to predators. As with so many other species nowadays, they are being threatened by humans, whose illegal logging activities are degrading their habitat.